The New York Times and The New Yorker were awarded one of America's most prestigious prizes on Monday for reporting that put the #MeToo movement in the national spotlight. The two publications received the Pulitzer Prize for Public Service for their reporting on Harvey Weinstein's systemic abuse of women in the entertainment industry. The Press Democrat of Sonoma County, California, received the Pulitzer Prize in Breaking News Reporting for the paper's coverage of wildfires in the state last fall. The Arizona Republic and the USA Today Network received the Pulitzer Prize in Explanatory Reporting for its examination of President Trump's proposed border wall. Prizes were also awarded for fiction, nonfiction, drama, history, biography, poetry and music. Kendrick Lamar made history for being the first rapper to take home the music prize for his fourth studio album, "Damn." 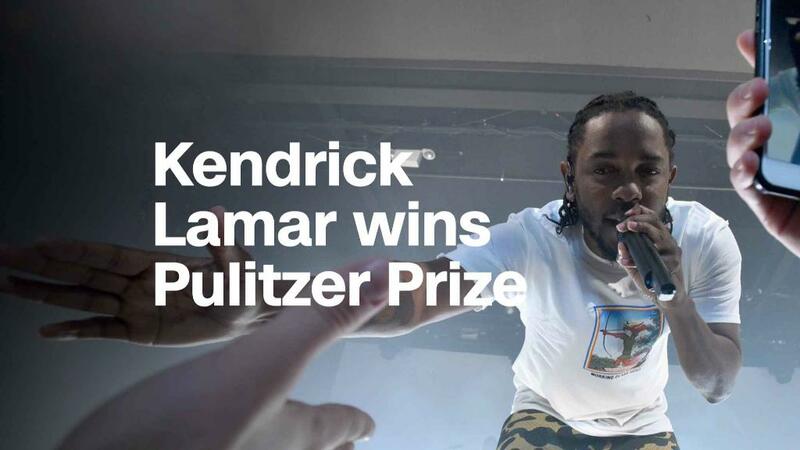 "Every few years a dominant story — brilliantly handled — emerges as front-runner for the year's top journalism Pulitzer Prize," longtime Pulitzer handicapper Roy J. Harris Jr. wrote for Poynter last week. "Amid the mind-boggling series of exclusives coming from Washington, and often focused on President Donald Trump's White House, perhaps 2017's most impactful work was reporting that created a groundswell out of the phenomenon so widely described now by #MeToo and #TimesUp," Harris wrote. The awards recognize "the importance of a strong vibrant independent press," new Pulitzers administrator Dana Canedy said at a recent reception. In an allusion to Trump's frequent "fake news" attacks against the media, she said the Pulitzers recognize "real news of the highest order." The Washington Post's David Fahrenthold won the national reporting prize for investigating Trump's track record of charitable giving.